Some people prefer calling restaurants beforehand to secure a good table, while others enjoy trying their luck as walk in customers. rif belongs to the first category. I generally can’t be bothered to call the restaurant, unless it is an important date or when I’m dining in a large group. It was his sister’s birthday, so it made sense to call Khuntai and book ahead. We called twice. First to secure the table inside the restaurant, and later on, to confirm the time — 7.30pm. The weather god decided to be a prick that night. It was raining cats and dogs, making alfresco dining impossible. 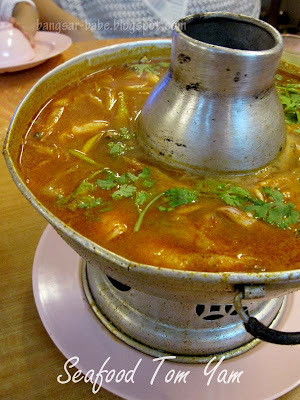 Unless you fancy having rain water in your tom yum and green curry. Imagine our frustration, when we arrived at 7.20pm only to find our table occupied by a group of 14 and the “RESERVED for Mr.Low – 10 pax” discarded at the table side. No way in hell, were we going to be seated outside (what’s the point of making a reservation then? ), so I demanded for our table back. 15 minutes later, we got our table back and proceeded to order. The set meal (RM188nett for 10 dishes) seemed to be most value for money, so we went ahead with that. Our food didn’t take very long to arrive. We only waited for 15 minutes before the first dish was served. 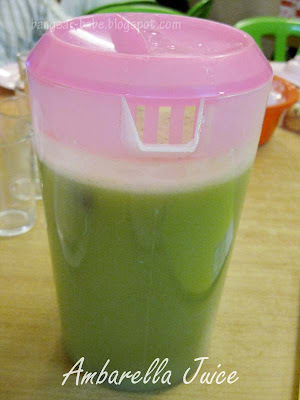 The Ambarella Juice with Sour Plum was well, sour. I didn’t dare drink this, because I had an allergic reaction the last time I did, 5 years ago. 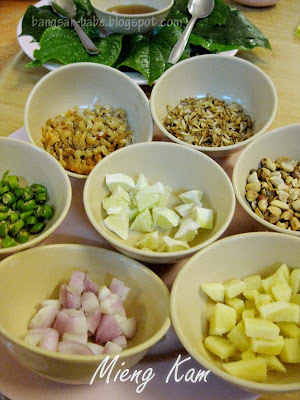 Mieng Kam was slightly spicy from the ginger and shallots, sour from the lime, and sweet from the grated coconut flesh and thick plum-like sauce. I wasn’t very good at wrapping the ‘liu’ with the betel leaf, so most of the ingredients fell out as I was taking a bite. 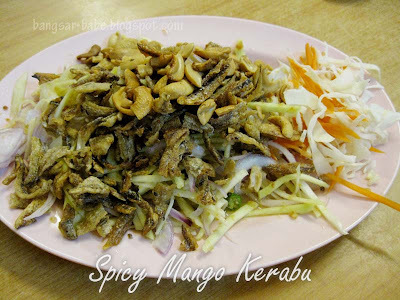 The Spicy Mango Kerabu was tart and punchy; with a good balance of flavours and textures. I thought the julienned mango was a tad soft, but that aside, it was quite good. Seafood Tom Yam had little or no kick. It was too sweet, and wasn’t spicy or sour enough. I didn’t like this. 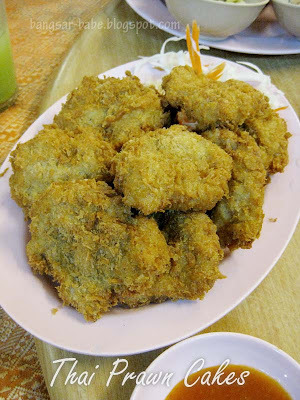 I expected Thai Fish Cakes, but we got Thai Prawn Cakes instead. It was decent, but nothing exceptional. 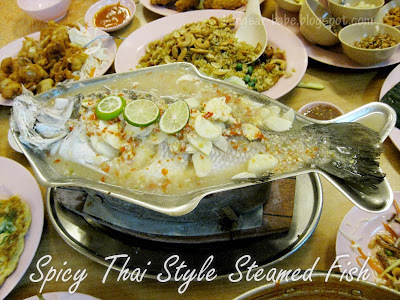 What stood out was the Spicy Thai Style Steamed Fish. Kept hot over charcoal fire, the fish was barely fishy, and the piquant gravy was most welcomed on that rainy night. 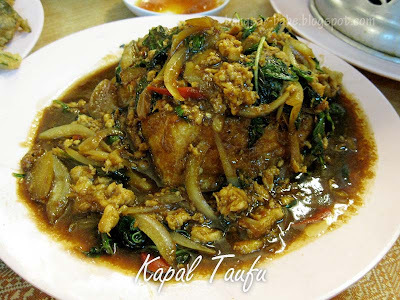 Kapal taufu was mediocre at best. This was part of the set, but I definitely wouldn’t order this ala carte. 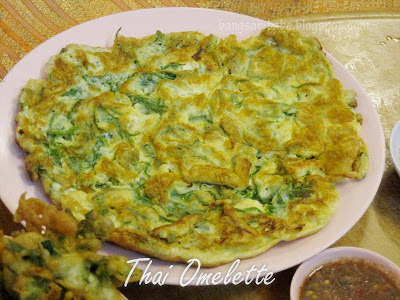 We switched the Thai Style Otak-otak to pandan chicken, which was never served. I was annoyed (after asking them numerous times), because the tables around us got their pandan chicken. 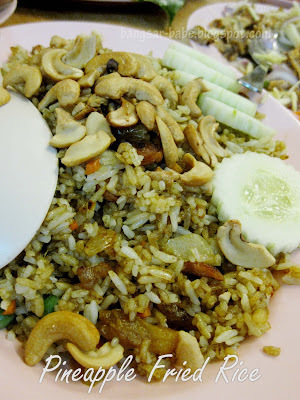 Pineapple Fried Rice (RM9 – ala carte order) was not bad, with cashew nuts, pineapples bits and raisins. 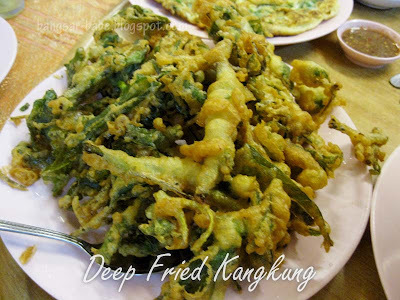 The deep fried kangkung tasted like vegetable tempura, except that it came with a Thai chilli sauce dip. Very addictive, especially for those who love fried stuff. 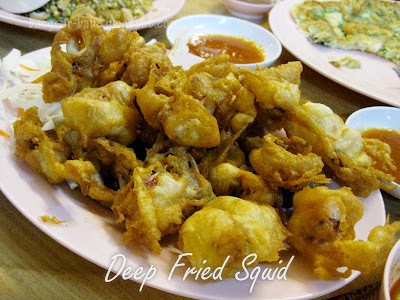 The batter for the deep fried sotong (RM15 – ala carte order) could have been less thick, but on a whole, it was alright. 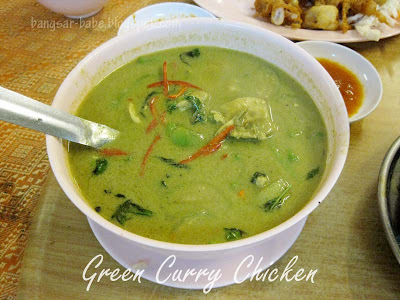 Green Curry Chicken lacked creaminess, richness and sweetness. Hardly worth ordering, if you asked me. Dinner was average, with a few hits and misses. Service was all over the place, and I wasn’t too happy that they gave away our table and forgot our order. Verdict: There were a few hits and misses. But on a whole, the dining experience was forgettable. that does seem like value for money though. somehow, i envision some other thai outlets charging that price for half the number of dishes! humourous when u think some people go thru the whole cycle for this kind of food hor..lesson learnt either i come on a non raining nite..or i dont come! Oh dear – so you all left without eating the pandan chicken??!! KY – Maybe you should go on a weekday. When it is less crowded. Hopefully the food will be better. zoeng – Yup…but I haven't tried the Butterworth one. 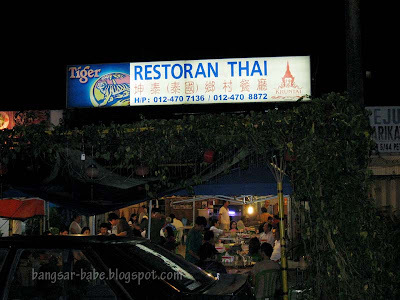 Sean – It is good value for money, but the food didn't live up to the hype.